Chinese Medicine and Applied Kinesiology in Penfield: Can a Chiropractor in Rochester NY Treat Sacroiliac Problems? Can a Chiropractor in Rochester NY Treat Sacroiliac Problems? There are few low back aches and pains that are more annoying than an inflamed sacroiliac joint. Located at the base of the spine near the tail bone area sacroiliac problems often mimic other issues. They can drive a sufferer crazy as they are often misdiagnosed for months before a proper treatment plan is put into place. As a Chiropractor in Rochester NY our office sees these patients on a regular basis as they often are the medical failures that physical therapy can’t fix. Once inflamed a sacroiliac joint can take some time to calm down and needs a combination of chiropractic adjustments and other healing modalities for it to resolve successfully. There are two sacroiliac joints in the spine. These each make up part of the left and right hip. The large triangular bone at the base of the spine is known as the sacrum which is easily observed in a human skeleton. Together with the ileums or “hip bones ” it makes the left and right sacroiliac joints. While it’s main function is support and weight bearing the sacroiliac joint also serves other purposes such as it’s role in childbirth. As a woman progresses in her pregnancy the sacroiliac joints widen and become more elastic allowing for the birth to occur. This is a natural by product of the increased progesterone in the body. As a Chiropractor in Rochester NY we frequently adjust pregnant women late in their pregnancy as much often their low back pain is caused by the osteogenic changes the sacroiliac joints go through. This includes a thickening and opening up of the joints in anticipation of delivery. Once the pregnancy is concluded the joints return to normal after a period of about three months. However, a good chiropractor in Rochester NY can often help this process along with the proper treatment program. 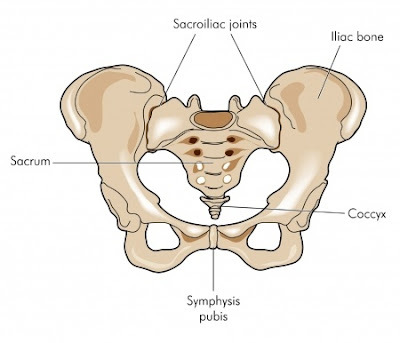 Besides structural stress the sacroiliac joint has also been shown to be affected by nutritional deficiencies. Research by the International College of Applied Kinesiology in the 1970’s demonstrated that many chronic sacroiliac problems can be due to a lack of available magnesium or calcium for the body to utilize. Such a deficiency produces an additional stress on the body especially when a person is sitting for long periods ever day. As the body runs out of resources to maintain homeostasis it begins to pull minerals out of the joints and ligaments. This is a normal temporary process which is easily reversible once the condition has been identified. As a chiropractor in Rochester NY our office often supplies patients with special support belts to allow the sacroiliac to heal. Such devices are inexpensive and easy to wear during the course of treatments. This provide added support and cut down on the hyperactivity of joint moment allowing the area to heal properly. How long a sacroiliac joint takes to calm down depends on situation. Each person is different and how long they had the condition, how much damaged has been done and how old the patient is are all issues that can affect the treatment outcome.